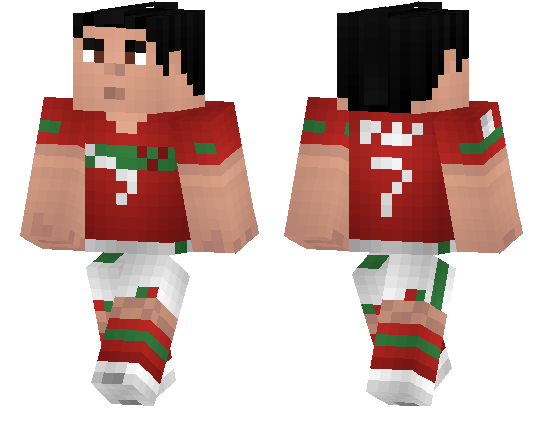 In addition, such a skin Cristiano Ronaldo 1.2.10 – an excellent opportunity to add more interesting sporting events. 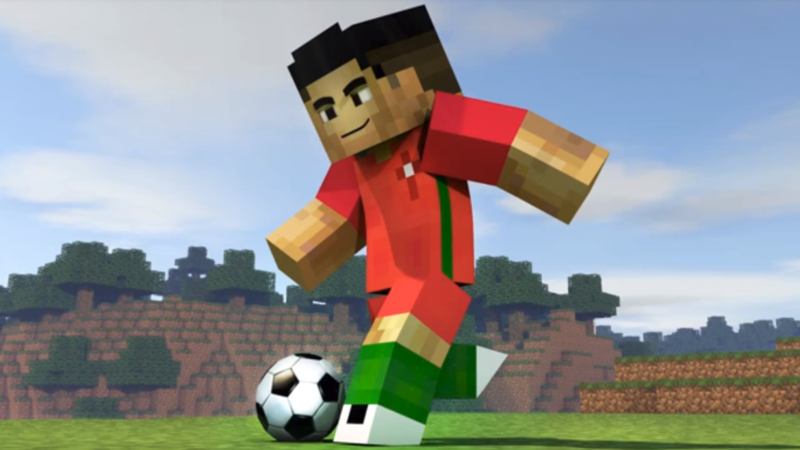 There are a lot of cool cards for football and other sports in Minecraft PE, and if they pass in the image of a famous football player, the outcome of matches can be quite unpredictable. It’s interesting to play a couple of new cards with this way. In fact, Cristiano plays for Real Madrid and at one time was the most expensive player in the world. Until the year 2013. If you adore this guy and want to be something like him, or just want to add it to the world of Minecraft Pocket Edication, do it with a new and wonderful skin. Externally, the skin is very similar to the real Cristiano. Hairstyle, clothes, number on a T-shirt, etc. .. Try to be the same talented sportsman as the owner of the skin. Perhaps, it is this image that will make you more confident and strong in yourself a hero. Or vice versa, will add a lot of difficulties, which will have to be sorted out after a very long time. You can download the skin of Cristiano Ronaldo 1.2.10 from our website at the link provided below. And in his image to play some exciting football matches. The game tool for this skin is Minecraft PE 1.2.10.